Sonia Cheng and her team on the grand staircase of the Rosewood Hong Kong. The Rosewood Hong Kong’s grand entrance. Sonia with key members of the Rosewood Hong Kong team. Sonia with artists and designers who collaborated on the hotel. Members of the Rosewood Hong Kong team play pool in The Manor Club executive lounge. Sonia Cheng with key members of the culinary team at Rosewood Hong Kong. 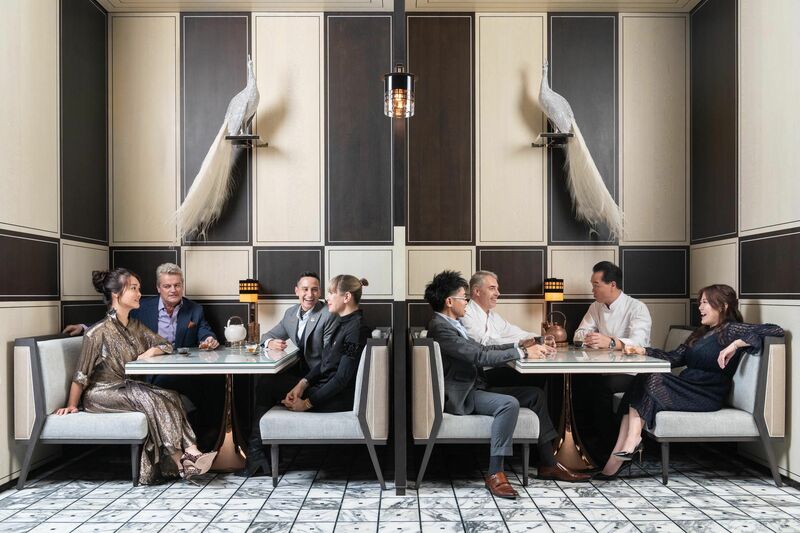 From designing uniforms to showcasing their artwork at the hotel, learn more about each person's role in making Rosewood Hong Kong what it is today by reading our cover story.